Kenna is available now to the right home. She is a brindle and white female, and she is 5 months, born 3/25/2013. She has lots of energy and is very sweet. 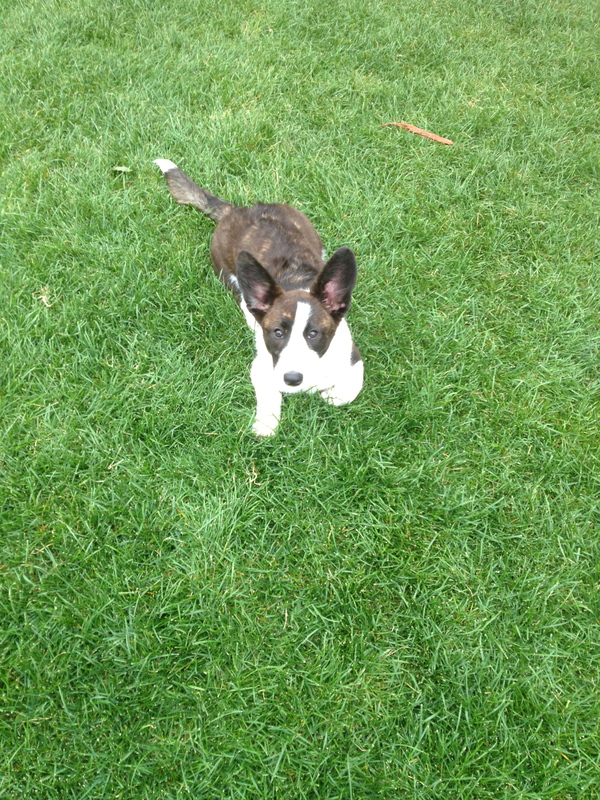 She has been started in basic obedience, and is crate trained and housebroken. Kenna’s parents have been fully health tested. Please contact annekowalczyk@me.com for more information and for an application if you are interested. 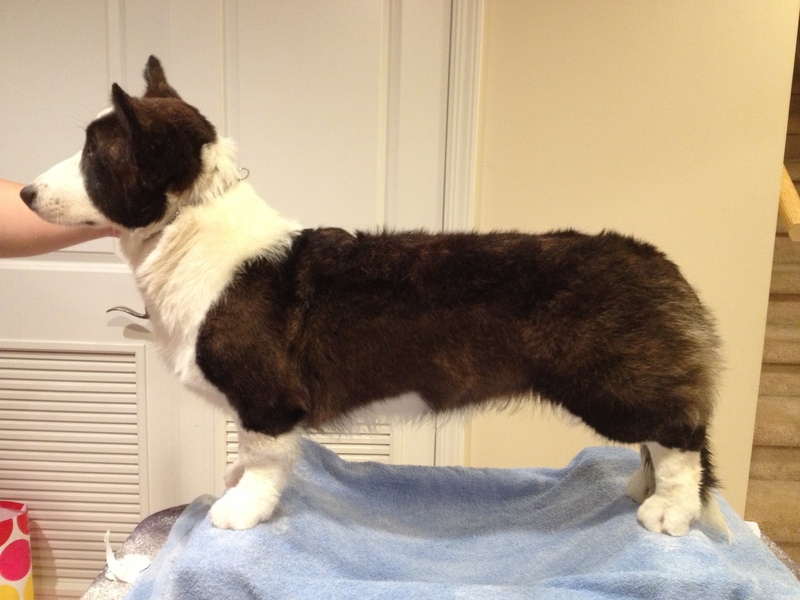 Kenna’s pedigree is available here: http://www.cardiped.net/details.php?id=86706. Kenna is very good with my two young children and is loves to go for walks, car rides, to the woods and to t-ball games! She is very outgoing and has one of the most pleasant and outgoing personalities I have ever seen in a cardigan. Kenna would be ideal for you if you are an active family and would enjoy taking your dog to do stuff with you, if you are interesting in performance, conformation, and she would be ideal for a junior handler as well. She has been very easily trainable from a young age, which I suspect comes from her father Chase who carries multiple titles in conformation, obedience, agility and herding. Kenna also loves belly rubs, hanging out under your feet after she has been tired out, and she is an all around good girl. She would do well in a home with either by herself or with another dog. She is confidant without being dominant. 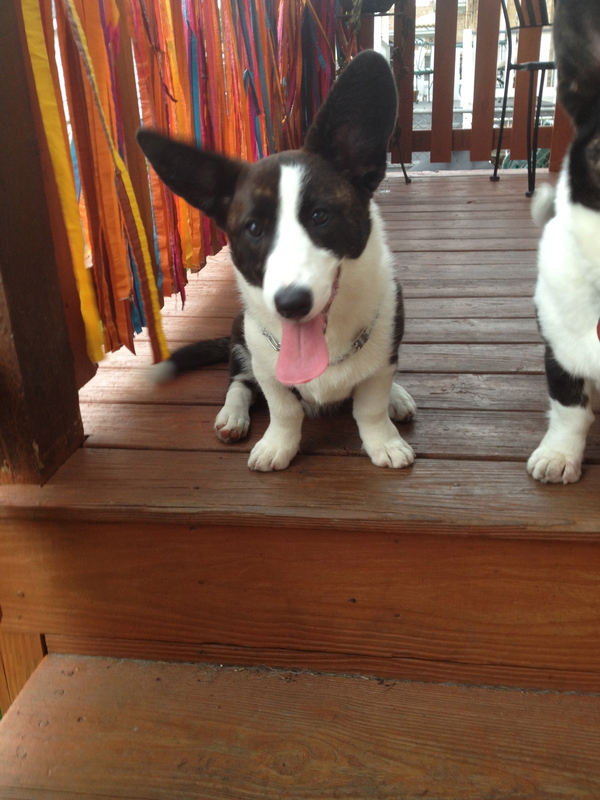 This entry was posted in Uncategorized and tagged Dory, Kenna, Puppy. Bookmark the permalink. We can’t discount the influence of Kenna’s maternal Grandmother who is a herding Champion. Very true.. And, both of her maternal great grandmothers are also herding titled. She’s got a lot of brains on both sides of her pedigree. 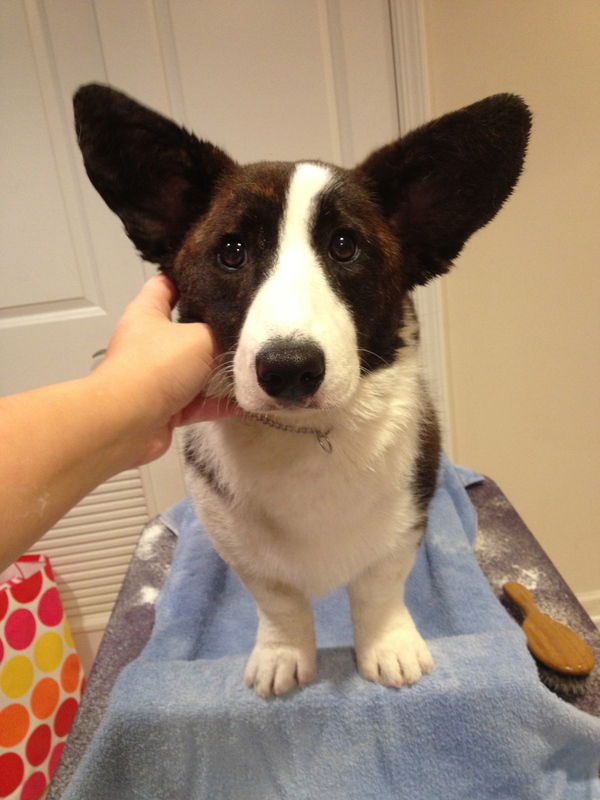 I would be interested in a 5month or older Corgi. 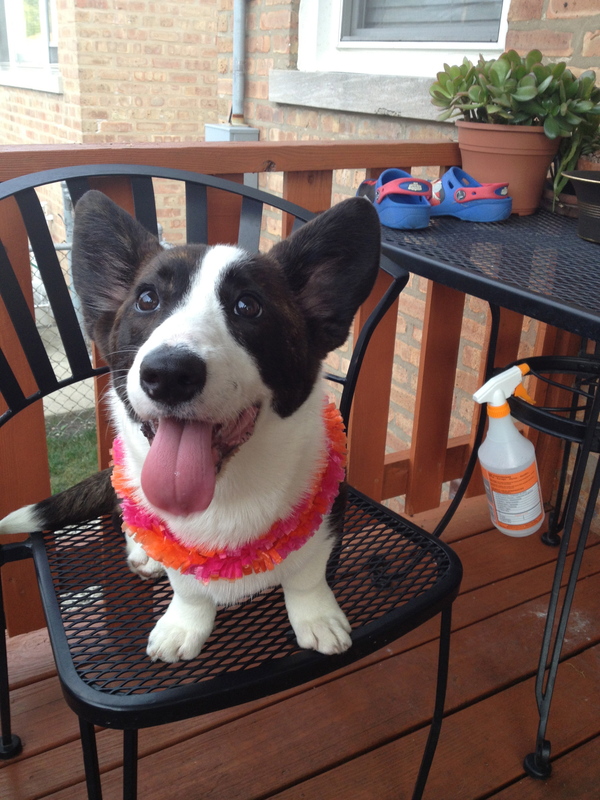 We just lost our 10 year old Corgi mix last August and are still heart broken. We have two cats. We live in a Western suburb of IL and have a good sized back yard. Please e-mail me at robbaj@comcast .net. Thank-you!